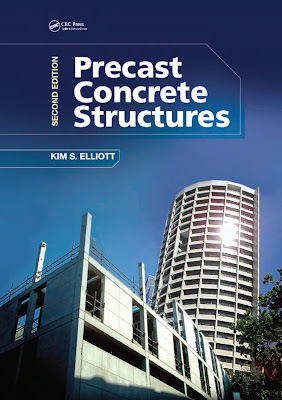 A precast concrete structure is an assemblage of precast elements which, when suitably connected together, form a three-dimensional framework capable of resisting gravitation and wind (or even earthquake*) loads. The framework is ideally suited to buildings such as offices, retail units, car parks, schools, stadia, and other such buildings requiring minimal internal obstruction and multifunctional leasable space. The quantity of concrete in a precast framework is less than 4% of the gross volume of the building, and two-thirds of this is in the floors. In the case of the shopping centre and car park shown in Figure 1.6, the precast concrete elements supporting vertical actions (i.e. gravity loads) are columns, beams, floor slabs, staircases, and stair-cores. The framework is ‘braced’ against horizontal actions (i.e. lateral loads and wind pressure) using very deep columns (gable end to the left of the photo) and diagonal bracing (front elevation). The framework shown in Figure 1.7 was built using similar elements, but because the resistance against horizontal actions is provided by the same columns that support vertical actions, the framework and hence the columns are classed as ‘unbraced’. The precast framework Figure 1.8 is likewise a column, beam and slab structure, but here the beam-to-column connections are designed as moment resisting, and therefore together with the strength and stiffness of the beams and columns, the resistance against horizontal actions is provided frame action, in a similar manner as for cast in-situ concrete frames. 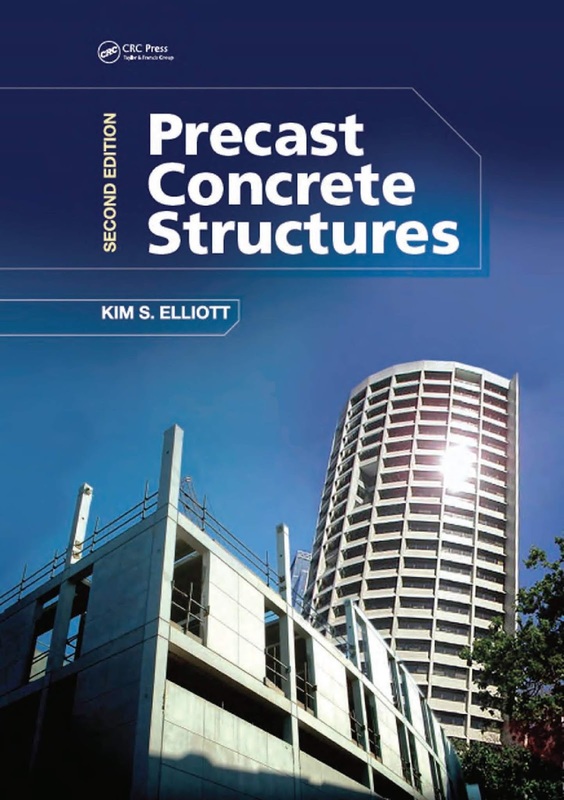 The distinguishing feature of the precast framework is that the beam-to-column connections are rarely fully rigid, known as ‘semi-rigid’, and therefore the columns must also resist horizontal actions as in the case of the unbraced frame in Figure 1.7. The frameworks shown in Figures 1.9 and 1.10 were built using similar elements, but thanks to some creative surface finishes and more expensive mouldings, this building appears to have a completely different function, both architecturally and structurally.